Set in a mansion belonging to the influential Bekanis family, Benaki Museum houses an impressive collection of artifacts reflecting Greek history and culture. Though primarily concerned with Greece, the museum explores and celebrates the many foreign influences that have enriched the country. Admire prehistoric pottery, Byzantine iconography, 17th century embroidery, and heirlooms of influential Greek figures. Make sure to stop by the on-site restaurant. Located on the top floor, it offers superb views of central Athens. 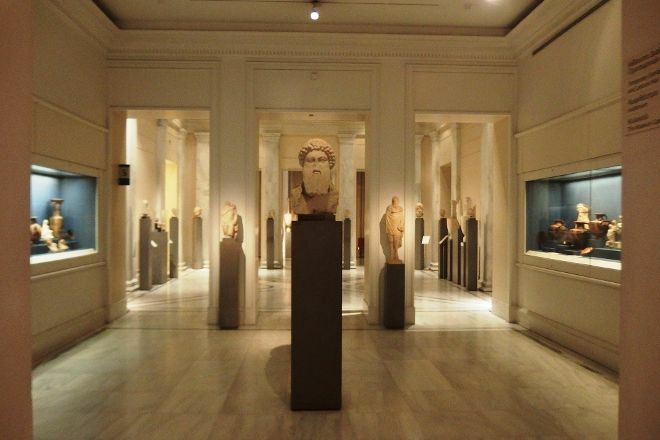 With our online itinerary creator, Athens attractions like Benaki Museum can be center stage of your vacation plans, and you can find out about other attractions like it, unlike it, near it, and miles away. A small but very interesting museum. The upper floors tell some stories of the more recent Greece (maybe not great artworks but a historically interesting). The ground floor has a beautiful collection of antiquities. The bar & restaurant is in a wonderful terrace and the food is good. Nice roof garden for a coffee or a snack. Fantastic views of surrounding city. This place is certainly worth a visit it's such a lovely building!